Your basement is a wonderful space in your home that is a bit of a bonus to your living area, and most importantly, an opportunity for you to transform this space into any type of area that you want. Different homeowners likely have different needs when it comes to their basement, especially if they are planning on finishing it off for the first time. If you are planning on remodeling or finishing off your basement, then one of the more popular options that you may want to consider is a basement rec room. These rec rooms, or recreation rooms are meant to be large, open, finished off spaces where you can relax, play, have fun, mess around with toys or do anything that you desire, hence the name. There are so many different ways that you can utilize a rec room and since it is generally so open and versatile, it is a room in your home that can grow and change with you and your needs. With so many options when it comes to basement rec rooms, you may not know where to start. The good news is, we have some ideas and designs in order to help you find the basement rec room of your dreams. 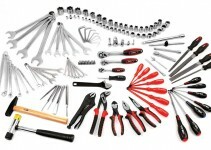 Even better is you don’t need a tile cutter for these projects. 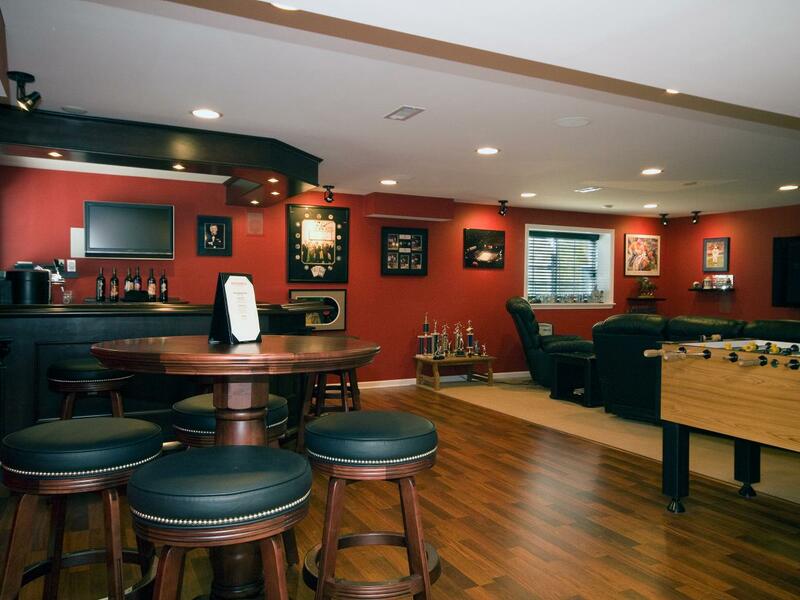 A recreation room is open to all types of possibilities but if you really want to make the most of your open space, why not consider a bar room in your basement? Adding a bar can be a great way to bring some fun into your basement space and is the perfect solution if you love to entertain. Bars can come in all shapes and sizes and they can be designed to fit your current space whether you want them as the focal point or are trying to make sure they don’t interrupt your current layout. If you have little ones with countless toys then you know that these items tend to get everywhere in the home, no matter how hard you try to keep them contained. 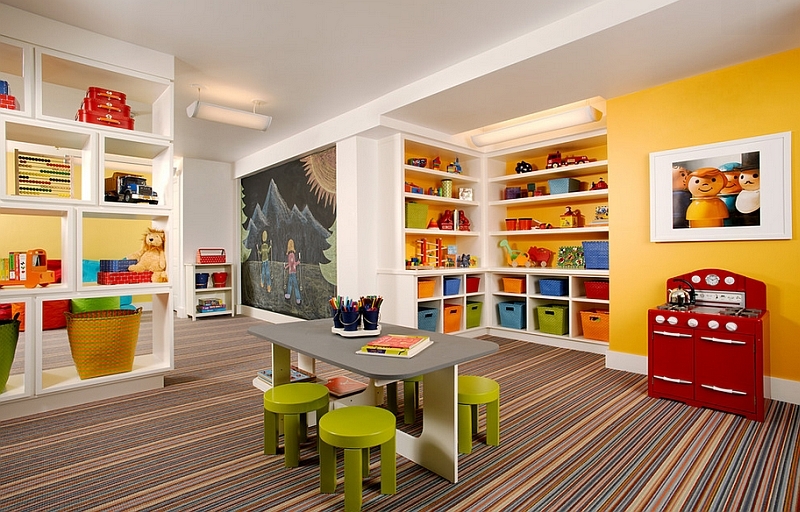 If you want to keep your little one’s toy mess contained, consider a nice open play room. Add closed storage such as bins and built-in drawers so you can easily clean up and hide the toys when they are not being used. Add comfortable carpet for playing on the floor and make sure it’s in a darker color to cover up spills. The great thing about keeping this space simple and open, is later on you can transform it into a teen hang out spot or a TV room for mom and dad. If you want to make your recreation room the perfect blend of fun and functional, then built-in storage is just what you are looking for. A newly done recreation room is a great space to add all of the storage that your home needs while still making it a great hang-out spot for your family. 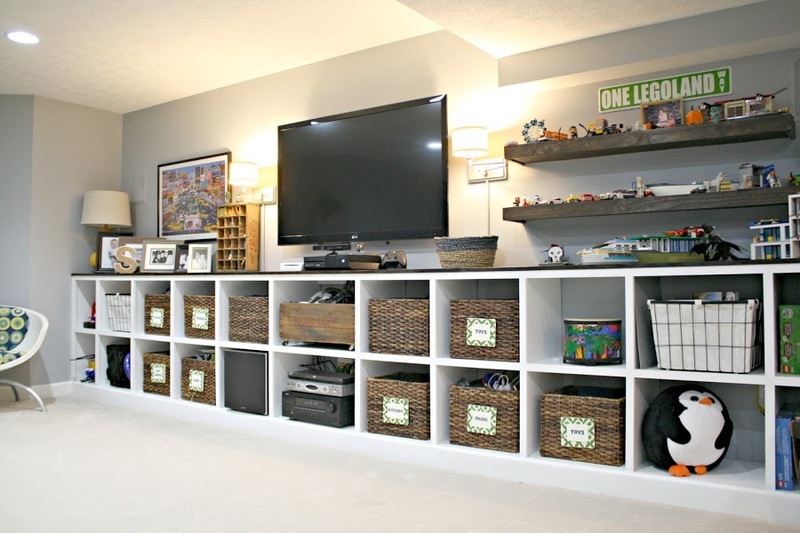 Think built-ins, under the stair storage and even storage benches throughout, this is a great way to make sure you still have that finished space you need without sacrificing your unfinished basement storage. 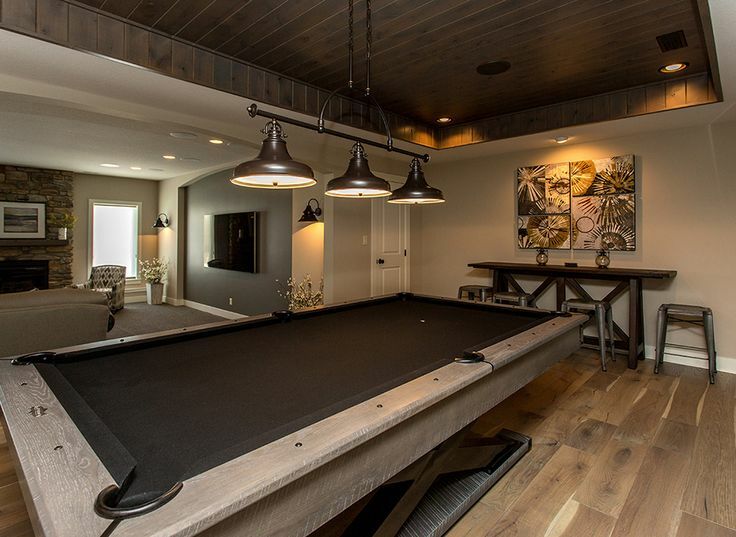 Nothing says family fun and recreation quite like a basement game room. If you want to make sure you have a space for the entire family to gather, play board games and spend quality time with one another, transform your space into a gaming haven with plenty of seating and tables so that everyone can get in on the action. A pool table, arcade games or a foosball table can all help really complete the fun atmosphere. 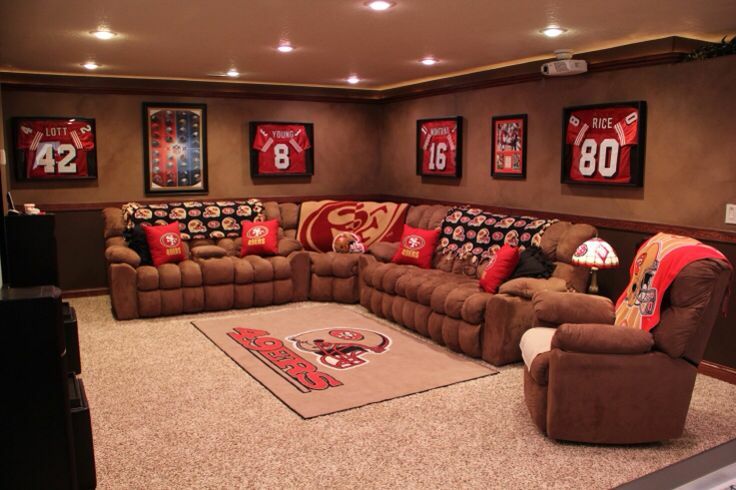 If you are a major sports fan and want to pay homage to the team that you love, consider making a home team-themed recreation room in your basement. You can paint your walls your team’s favorite colors, add jerseys and memorabilia throughout the space and create the perfect retreat for when you want to watch the big game on TV. This is one type of recreation room where you can really let your imagination run wild. If you really want to but the “recreation” in a recreation room, then you may want to consider making this space a place for you and the family to exercise. 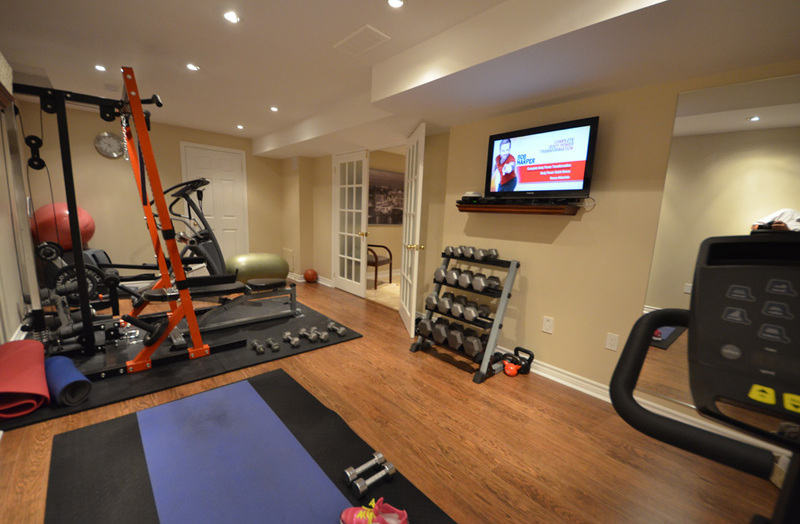 A large recreation room can be a great workout space. 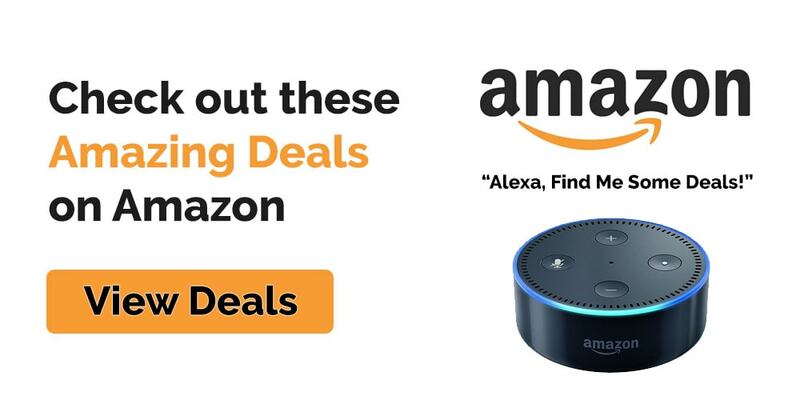 From treadmills and machines to free weights and more you can have all you need for your regular workouts right in your home. Don’t forget to add some full-length mirrors and maybe a television for your workout videos to really complete the space.